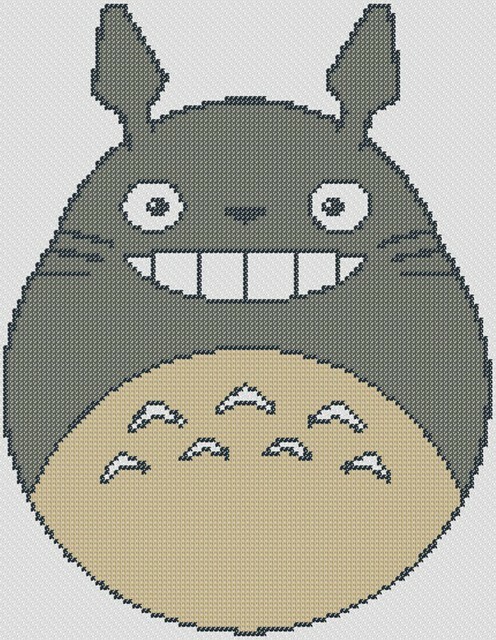 This is our free anime cross stitch to print called Totoro. Totoro is a spirit of the forest that looks like a giant cuddly cat. This is quite a sizeable design, which means that we recommend this chart for cross stitch blankets and other projects of such size. Get this free anime cross stitch to print zipped file (approx. 565kb — downloaded 196 times). The password for this download is “crossstitch4free” without the quotation marks. Are you looking for more anime cross stitch pattern projects? Let us know by filling up our Contact form, or visit us at our Facebook page to send us a message. Remember to browse through our collection of stitching patterns for free download by clicking the Cross Stitch Patterns link on top of this website, or the Related Patterns links below each photo preview of the pattern.